Make My Trip Andaman is a well-known travel management company in Port Blair (Andaman & Nicobar Islands). 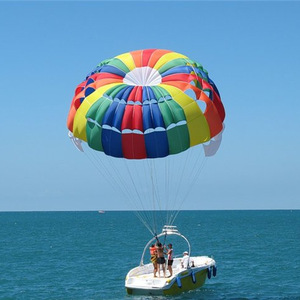 We are engaged in providing the best parasailing experience to all clients that turn to us. You can relish this adrenaline-pumping activity at different islands of the Andaman archipelago. All clients are accompanied by a professional for relishing this activity. The gears we utilize for parasailing are duly maintained by the professionals. Clients willing to enjoy this activity require registering with us for the utmost fun at an economical surcharge.